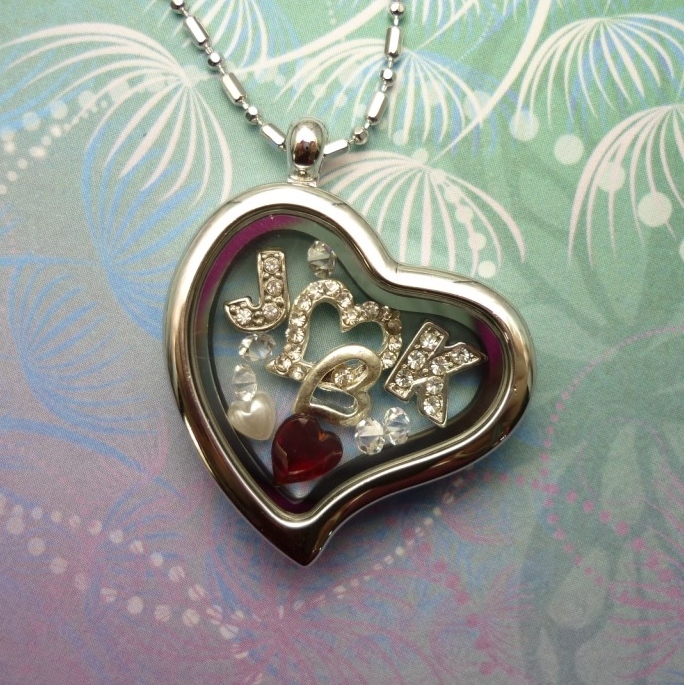 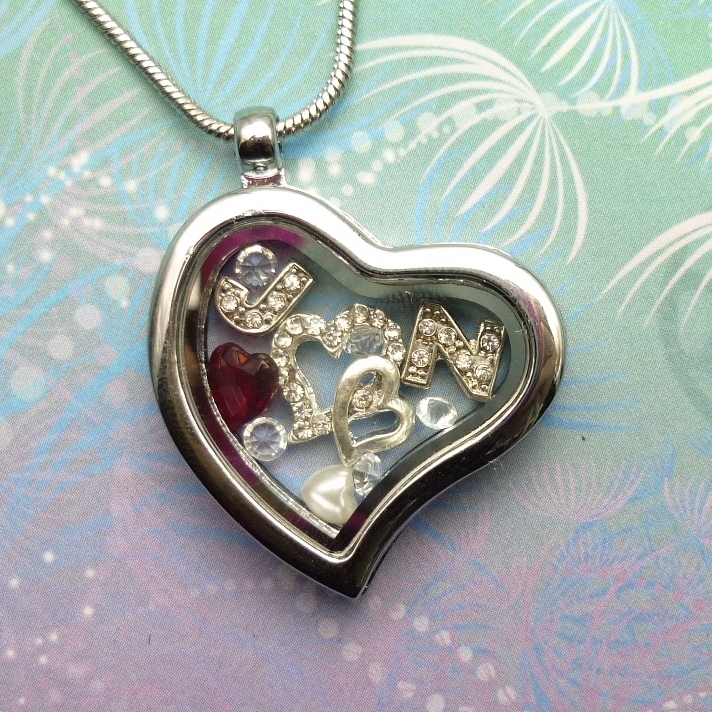 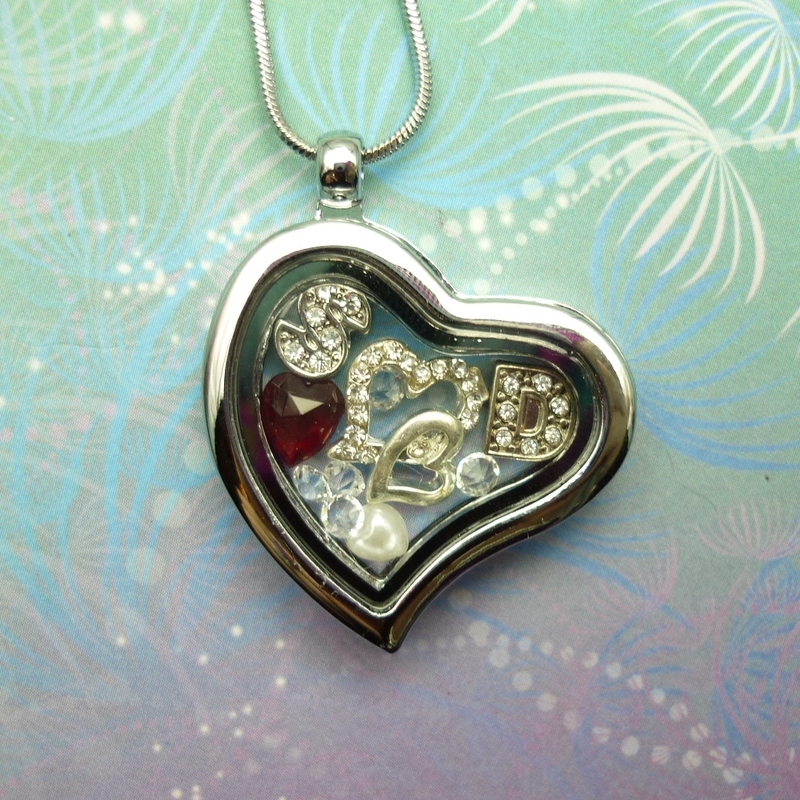 This pretty Silver Heart Floating Charm Locket Necklace comes with the custom initials of your choice plus the heart and crystal charms as pictured. 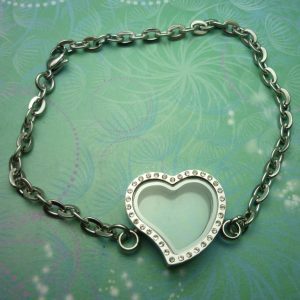 You can add more charms if you choose from $3.00 per charm. Or on a larger disc for $7.00 you can have stamped whatever you like (i.e. 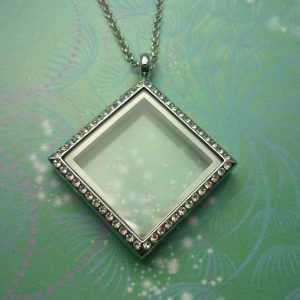 name, date, saying etc). 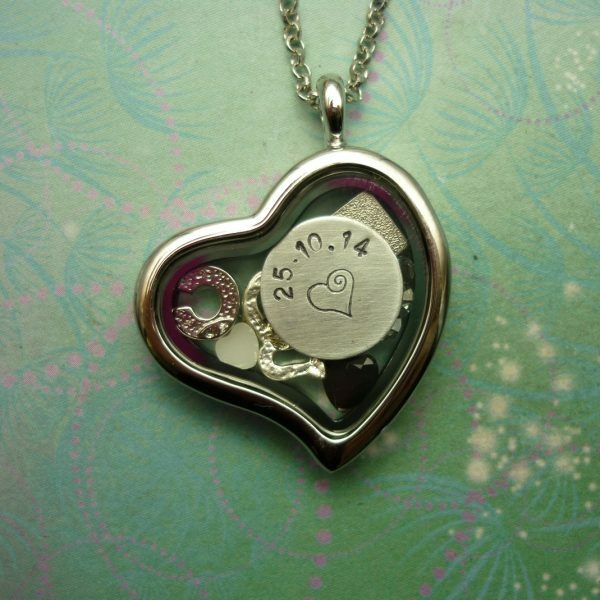 All stamping work is included in the price. 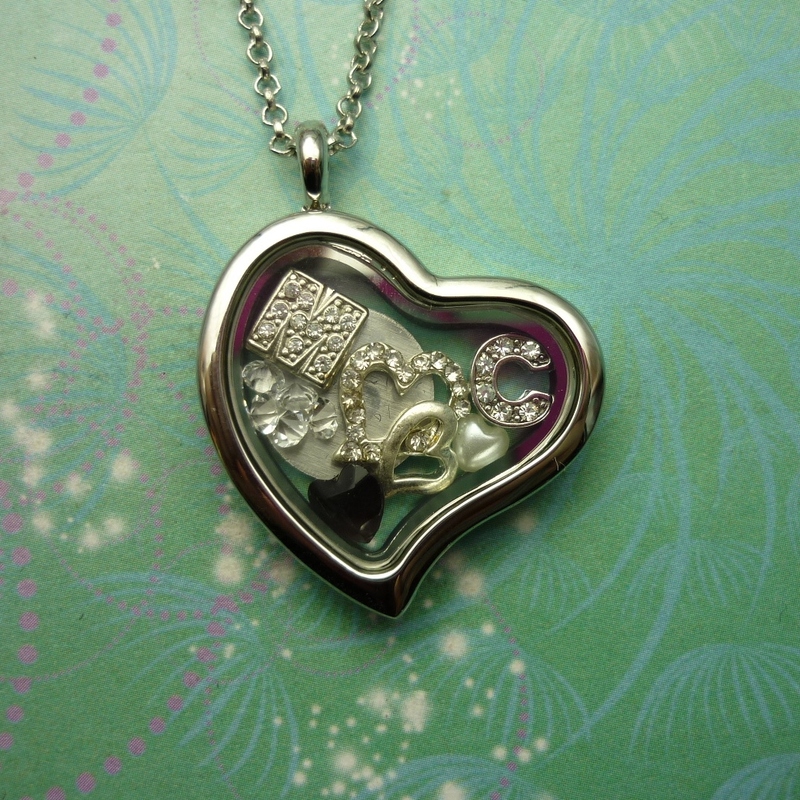 The discs are a light weight non-tarnish aluminum. 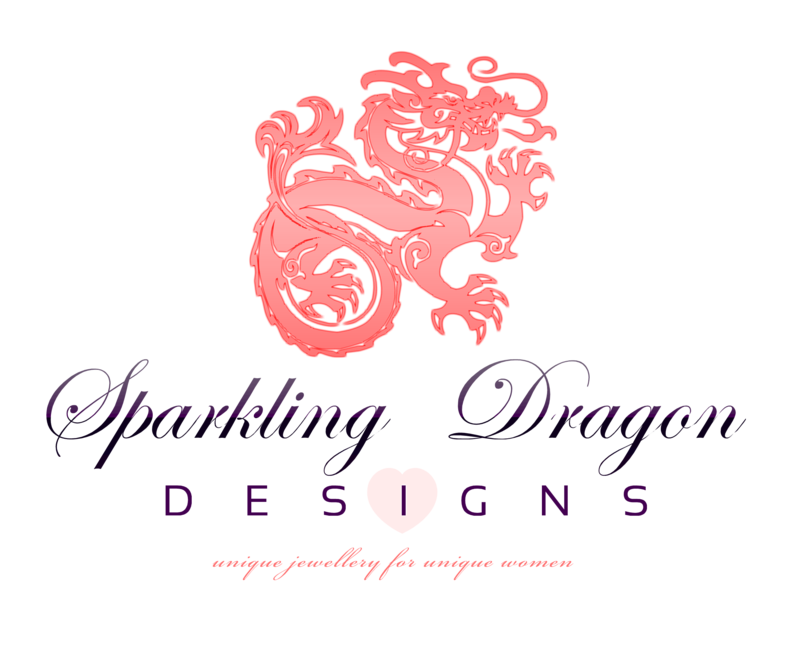 Our Lockets are Rhodium Plated and quite Durable. 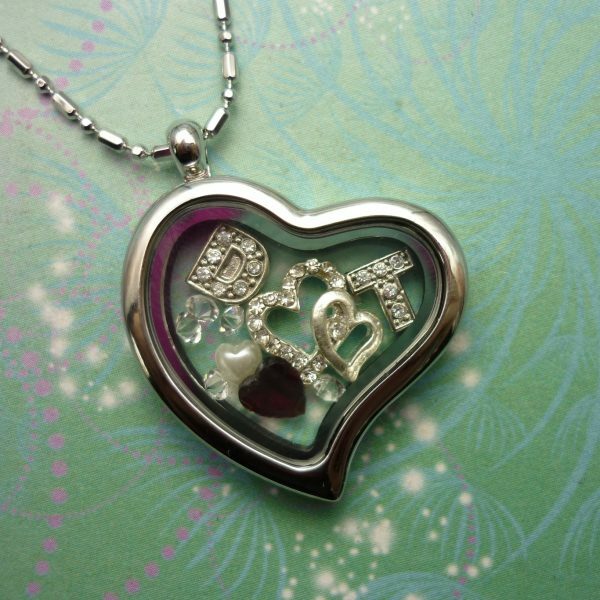 They resist scratching and have a beautiful shiny finish. 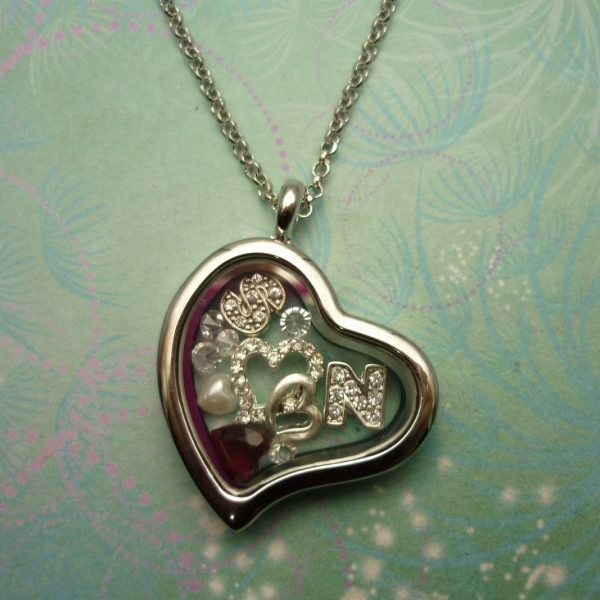 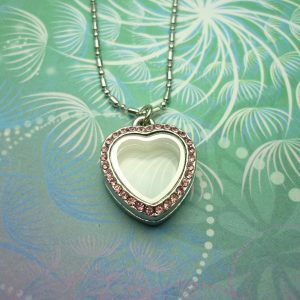 This gorgeous locket will fit around 6 to 8 charms, you can purchase more charms and change the look any time you like..